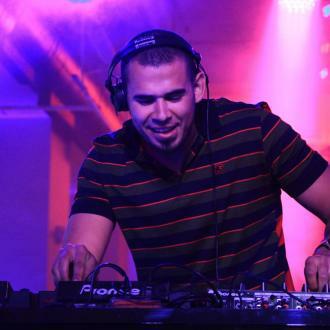 Producer/dj Afrojack Has Parted Ways With His Manager, Citing "Ethical And Moral Disagreements". The Dutch star, real name Nick van de Wall, had been a client of Hugo Langras' for three years, but the beatmaker cut ties with the Montana ECI boss in September (15). He tells Billboard.com he had his concerns working with Langras, but declined to specify any details and revealed he is now planning to run his business on his own and help other up-and-coming musicians. "I already set up my own back office, so there's a group of great people around me that are helping out with social media, financial and legal stuff," he explains. "I'm really focused right now to create what I feel is necessary from a company standing by an artist and artist needs." Langras has since confirmed the split, admitting the pair fell out over a "business dispute", but he has categorically denied any suggestion of "moral or ethical disagreements". A statement released to the publication reads: "I can confirm that Nick wants to part ways with Montana ECI BV. "Nick and I have had a very pleasant and extremely successful relationship... Since we have several agreements in place that were closed with an eye to continuing this relationship for many more years, actually arranging this departure is complex. Our lawyers are working on a solution. I do not want to harm this process, so all I am willing to say is that I categorically deny that we had any moral or ethical disagreements. We have a business dispute." But Langras insists he is not bitter about Afrojack's departure, adding: "I wish him all the best with his efforts. He is an amazing talent and a true visionary and I am certain he will be very successful. I am confident we will find a way to separate as friends."